Social inequality is real in Singapore. Individuals from the lowest of the social strata often face a multitude of stressor and are marginalized because of their disadvantaged position. This is especially so for those with, or are caring for someone with mental illness - where their lack of financial resources and knowledge of the illness hinders them from seeking timely treatment. This can land them in stressful situations which can be frustrating for both themselves and others. Furthermore, the stressors faced by low-income families are often amplified through the lack of empathy regarding their circumstances - which arguably has its roots in a divided society. In this panel discussion, we will examine the relationship between mental health and social stratification in Singapore, and aim to highlight the importance of social inclusion in health promotion. We will also address legal matters relating to persons with mental illness – especially in situations where court appearance is necessary. Additionally, the panel will also share on available resources for low-income families (ultimately, they too, deserve the right to adequate care and treatment!). Faheema is the General Manager for the Inter-Religious Organisation, Singapore (IRO). Founded in 1949, IRO has worked quietly to promote peace and religious harmony in Singapore. Faheema is a peace activist dedicated to promoting a culture of peace, through the formation of micro inclusive societies that are safe from sentiments of extremism and radical ideologies. She is also a known Singaporean youth leader, and is currently the Chairperson for Jamiyah Singapore Youth Group (JYG). Under her leadership, JYG undertakes various initiatives to develop youth leadership under the motto – “Care for Self, Care for Community”, and places a huge emphasis the importance for youth mental well-being. Faheema founded the hash.peace movement through which she activates her peacebuilding mission in Singapore and around the world. She organises focus group discussions, one-to-one conversations and other activities with the aim to create awareness about the problem of extremism and radicalism. She is also a mother with two young children. She makes a conscious effort to create healthy mental health habits at home, and hopes to contribute to the conversation of mental health awareness in Singapore. Leeran is an Australian-registered psychologist who specializes in working with high-risk and high-need youth and adults in her clinical and forensic practice. She conducts comprehensive suicide and self-harm risk assessments and guides families, educators, and other mental health professionals on risk management and reduction in the home and school environment. Leeran is a well-regarded speaker who has conducted workshops for the Ministry of Education, Ngee Ann Polytechnic, Singapore Psychological Society, Singapore Psychological Therapists Group, and EAP Services. She has been presented at multiple international conferences including the Asian Conference of Criminal and Operational Psychology, the Asia-Pacific Association of Threat Assessment Professionals Annual Conferences, and the Interpol World Congress. 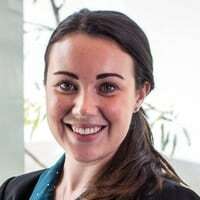 Leeran has previously held adjunct teaching positions at Bond University, and was the first Australian to be selected as International Visiting Researcher for the Ministry of Home Affairs Behavioral Sciences Center in Singapore. 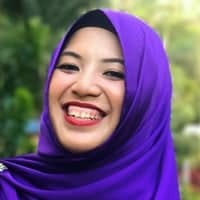 Atikah founded The Tudung Traveller, a social media platform for advocacy, philanthropy and travel stories. Driven by her personal struggles with bipolar and panic disorder, she leverages her influence as a solo Muslim female traveller to authentically advocate for mental health and diversity and inclusion, and support peers who struggle too. 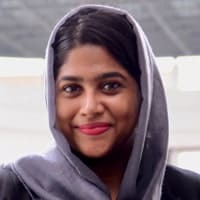 She has also built an online peer support group for Muslim women who struggle with mental health issues and has been featured on multiple local and international media, including BBC, Huffington Post and Channel NewsAsia. Previously a secondary school teacher, she left in 2018, when she was selected for a prestigious opportunity as a fellow with the US State Department. She left for San Francisco for a leadership development program to propel her work for bold and comprehensive changes to mental health acceptance and support in the community, especially within minority and underserved communities where mental health stigma is pernicious and detrimental to help-seeking behaviour. 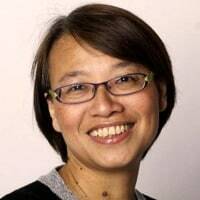 Helen Yong is an Assistant Director in Singapore Association for Mental Health, focusing on outreach services. She oversees both the Mobile Support Teams (West and Central) and the Group Homes, walking the ground to deliver community interventions through home visits and managing crises. Prior to this appointment, she served as the Head of Residential Services at BGGH and oversaw the BGGH Aftercare Services. Helen graduated with a Bachelor of Social Sciences from the University of Western Sydney, majoring in Applied Psychology. She is a Certified Psychiatric Rehabilitation Practitioner with the United States Psychiatric Rehabilitation Association (PRA) and is trained in Psychiatric Vocational Rehabilitation. Helen is an enthusiastic individual known to exude boundless energy and empathy in her engagements with colleagues, clients and audience members. Over the years, Helen delivered multiple trainings, workshops and talks at the Social Service Institute (SSI), institutes of higher learning, ministries, social service organisations and conferences, both locally and overseas. She is fluent in English and conversant in Mandarin, Hokkien and Cantonese. In her free time, Helen enjoys watching Korean drama serials to remind herself to be thankful that although life may be complex at times, it can still lead to a happy ending. She is a Parkour Auntie and also enjoys the presence of family and friends. She believes in giving herself “me” days to recharge and cultivate inner peace. 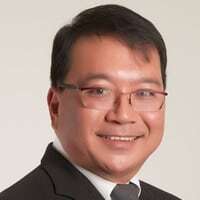 Siew Hong is a Partner at Eldan Law LLP. He graduated from NUS in 1987 and was qualified in the same year. He practices both civil and criminal litigation, and is listed as one is the lead Counsel’s with the highest numbers of appearances in the Singapore High Court – read more here. Siew Hong has a particular interest in cases involving mental health issues. In 1996, he was the lead counsel in Ong Teng Siew v PP, which is the first case where an accused person was acquitted of murder using evidence from the internet. The accused in that case suffered from an inherited skin condition which caused him to suffer from abnormality of the mind leading him to commit the offence.